Q COSTA RICA NEWS – Otto is a hurricane and is whipping winds of more than 120 km/h, according to the National Hurricane Center (NHC). Forecasters estimate it could hit northern Costa Rica on Thursday around 1:00pm. But, many in the areas to be affected the most are not taking it seriously enough. 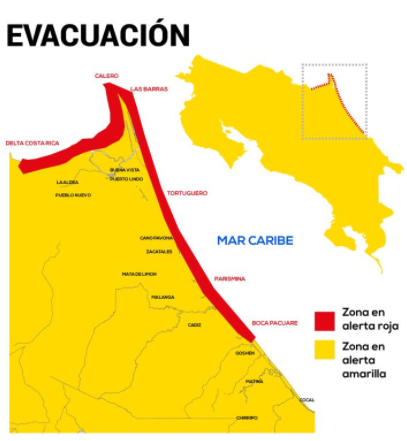 La Nacion reports that residents of Barra de Matina are refusing evacuate for fear of looting. Besides the potential looting, many are refusing to abandon their livestock. 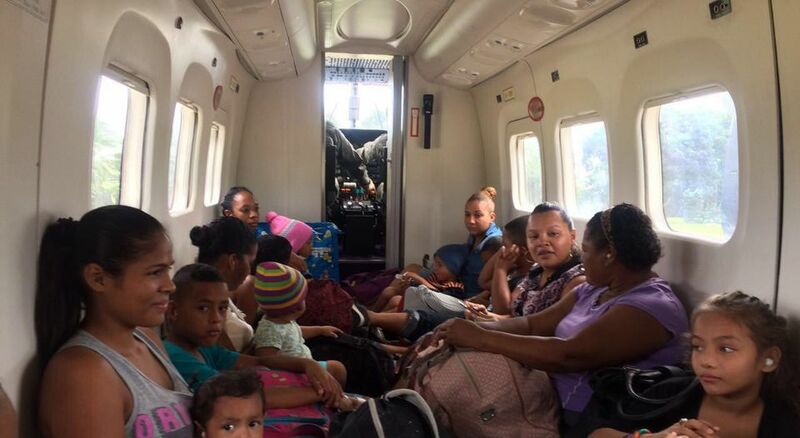 The National Emergency Comission (CNE) reports that at 1:10pm it had evacuated only three people – two women and a child – from the Cuatro Millas de Matina pier. It’s hard leave because we have cattle and we have to take care of it and if we go out people will steal them, people are shameless(…),” said Emilia Pérez Pérez, who lives in Barra de Matina for the last seven years. 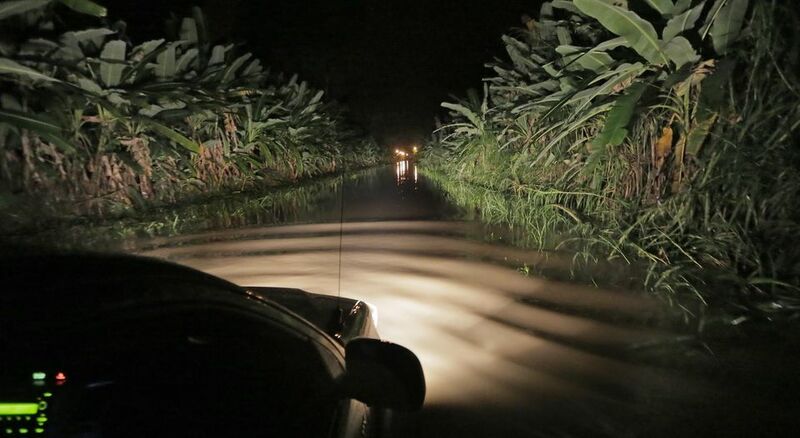 Cristian Rodriguez, a police officer in Batan, said the woman finally agreed to evacuate after she was told her four-year-old son would be evacuated if didn’t leave. Earlier this morning the government issued a “RED ALERT”.